Before I started on the Traeger Grill Reviews I have be to honest and tell you that I was not a big fan of pellet smokers. I thought they would take the joy of messing with charcoal and wood chunks out of grilling and smoking. After doing all the reading and researching I had to change my opinion. 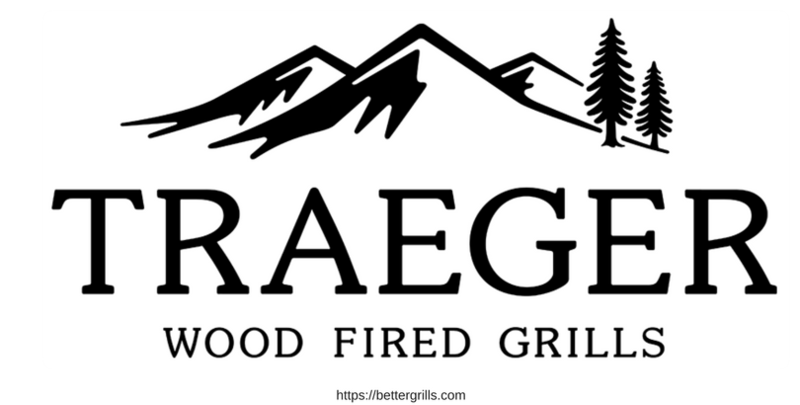 Pellet grills are awesome and I can’t wait till I have decided on the what pellet smoker brand I would like to have, but Traeger is one of the brands that is in my list. We looked at the most popular model Traeger pellet grills. The traeger junior elite is a very easy to use smoker/grill. Fill it with pellets, turn it one and watch the convection blower and auger do all the work for you. Set it on smoke or the desired temperature and the Traeger digital controller will take over from there. This is called a lazy man smoker. Easy to use and although I have done many reviews this Traeger has really impressed me. I even think I am putting it on my wish-list. Read my review and let me know if I have to add something to it from you experience as a user of the Traeger junior elite. There is a lot to say about the Traeger Texas pellet grill. This was not an easy grill to review. There are 2 kind of reviews. The ones that love it and would by it over and over again and the ones that really did not like it at all. But to be honest there are more people that like this pellet grill. The most common pros we heard was the ease of use of this grill. Fill it with pellets, set your temperature and the grill does the rest. Recently this grill is made in China and many people regret that. This grill is the kind of grill that you have to get used to. It seems it is a convection oven with build in smoker. Most of the reviews and comments we read on forums and websites say that the food taste great and is perfect time after time, but there is a little learning curve. The Traeger lil Tex Elite is what can be called a set and forget pellet grill. I have heard someone call it a lazy mans grill. How it works? : Fill the hopper with your preferred pellet, start it, set your temperature and put your meat on it. That is all you have to do. The results are pretty darned good, due to the thermostat that makes temperature stays constant and that is a big advantage over charcoal or propane gas. With a use of 2 lbs/hr on high, 1 lb/hr on medium and 1/2 lb/hr when smoking you can use the 20 lb pellets for a lot of cooking with this pellet smoker. The Traeger Pro series is a nice featured grill that fits in between the lower priced and the higher price pellet grills on the market. You can read the whole review of the Traeger pro series 22 here. You can read the whole review of the Traeger Pro series 34 here. After reading a ton of Traeger grill reviews and opinions about the Traeger pellet grills I am still not ready with forming an opinion. I found that there are probably a few Chinese manufacturers that are making pellet grills for several brands. It almost looks that the Z-grill I reviewed are a perfect clone of the Traeger. I read some great things about Traeger, and on an other forum or consumer website I read some very negative things. Being one of the oldest companies that started with these pellet grills in the 1980’s does not automatically means that you are the best. It seems that Traeger is trying hard to improve their product but there are still a lot of problems. I see a lot of people having problems with their customer service. It seems to me that the older models had some pretty bad problems with the controllers and the augers. In the newer models it seems that the Traeger company has solved most of the problems. For what I understand the old controller had 3 speed settings and this how the temperature was regulated without measuring the real temperature in the grill. The new controller measures the temperature in the grill and adjust the speed of the auger to that. This is far more accurate and the outdoor temperature does not affect the grill temperature anymore like with the old controllers. I guess this controller can be compered to the we talked about in the Rec Tec grill reviews we did. One of the things people do not like is that you have to scoop out the pellets if you like to change to a different kind. Only the pro series have an easy cleaning out option with a door. We will be adding more Traeger grill reviews here. If you would like us to review a specific one let us know. Traeger keeps adding more grills to their store and the quality is getting better and better in my opinion. We will be doing more Traeger smoker and grill reviews in the future and update our old ones. You can have a look at all Traeger grills on Amazon by clicking on the link. I got a response on this Traeger grill review page that you can read in the comment sections below. Ben mentioned a problem that I had not heard of and even better than that he offered a solution to that problem also. It seems that the grill covers for the Traeger grill tend to be blown away by the wind and according to Ben they hang little sand bags at the them so they don’t blow away. Jim himself added padded magnets to his grill cover and 2 0r 3 will do the trick. Thanks for your help Jim. I will see if I can get find more solutions. I can imagine that Velcro might be an idea? Copyright © 2019 Better Grills. All Rights Reserved.